The pool is natural and free from chemicals, cleaned by plants in the pond beside it. 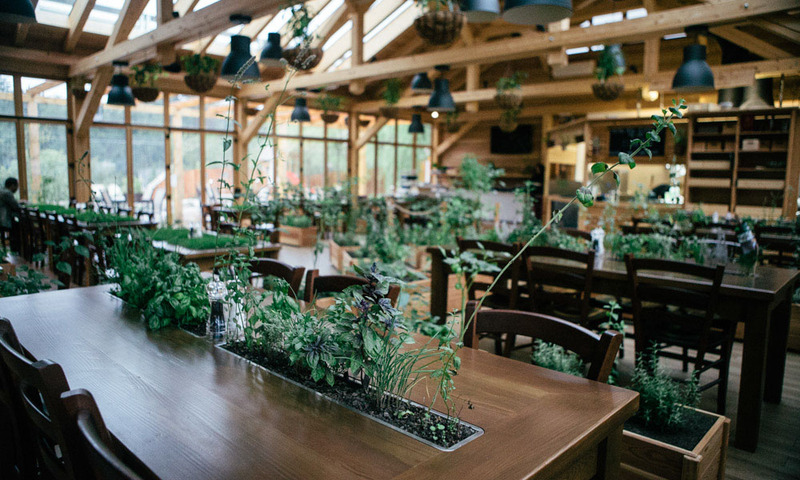 The restaurant focuses on healthy, locally sourced food and the architecture is impressive, all designed to make you feel at one with nature. Most tables have living grass in the middle, something I’ve never seen before but would love to have on my desk! 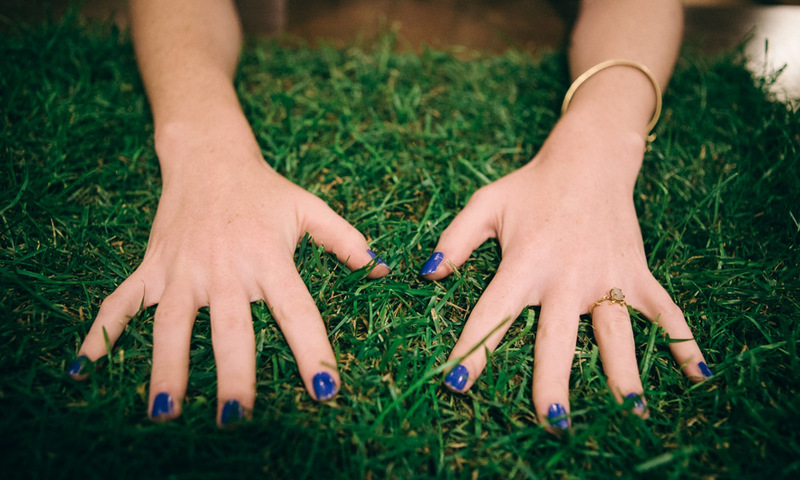 If the grass isn’t your style, you can opt for a herb table instead. 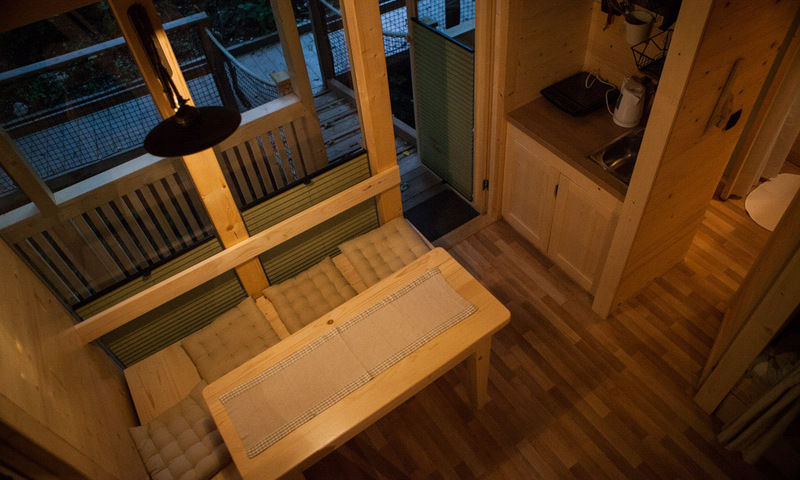 Perhaps the biggest treat of all is the accommodation itself. … and another on the floor below. 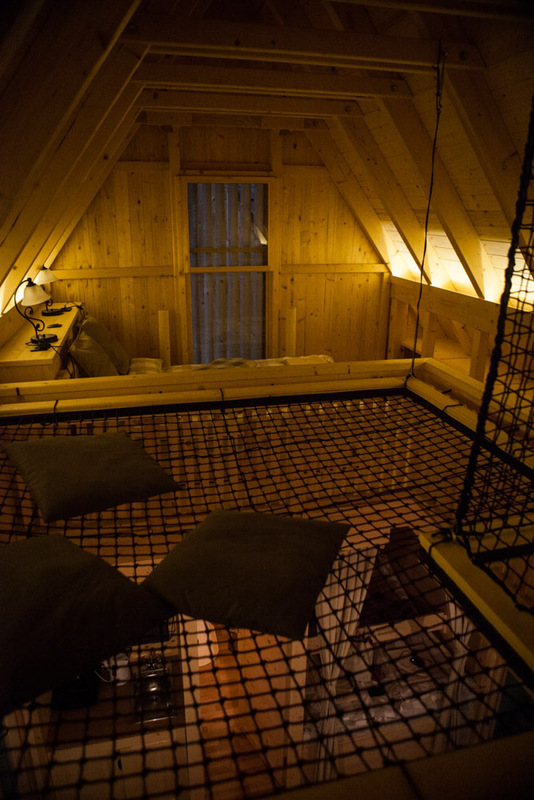 Upstairs also had a huge hammock, with cushions and beanbags for lounging. Downstairs was really spacious with a lounge area, kitchen space and bathroom. 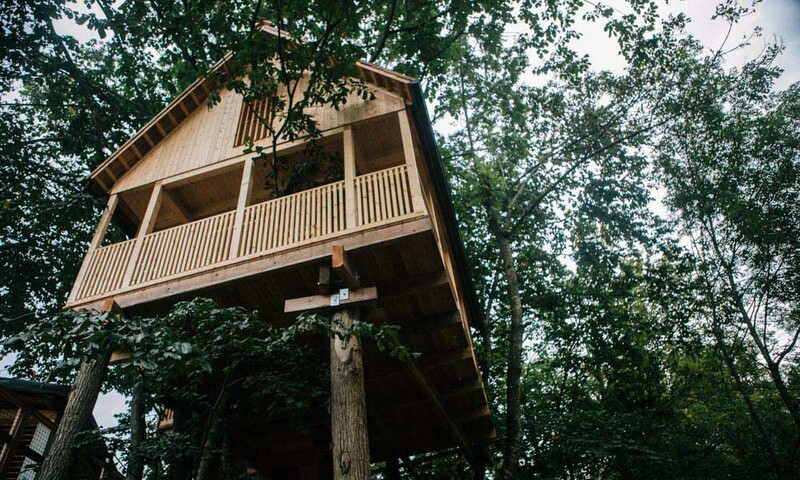 We stayed in one of the standard treehouses, but there is also a honeymoon option, complete with a drawbridge for extra privacy! 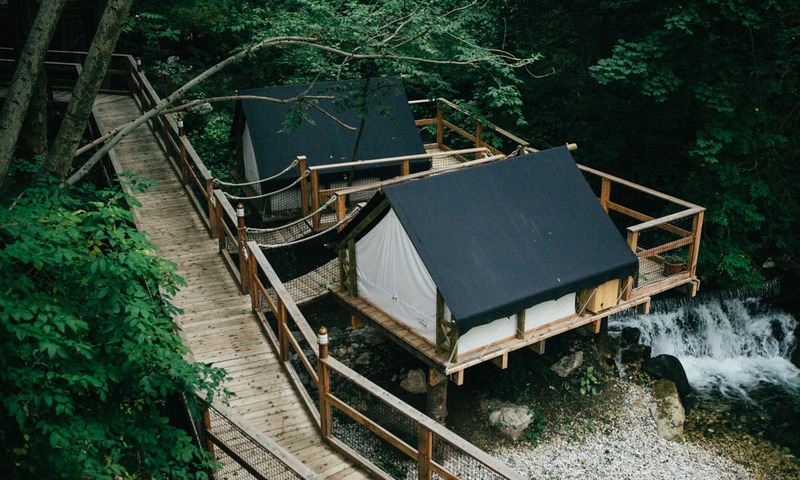 You can also choose to stay in tents, right beside the river, or bigger glamping tents further up the hill. The bigger glamping tents com with a private hot tub! Accommodation costs from €80 per night per tent. 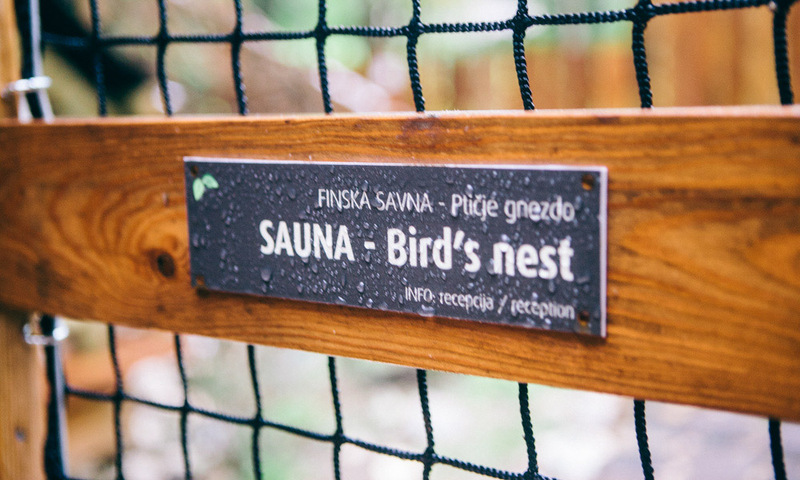 And finally, perhaps my favourite thing about the village, the birds nest sauna, covered in twigs beside the river with a little walkway for river dips. We haven’t been in a sauna since Finland and it was a wonderful re-introduction to the invigorating contrast of deep heat and icy waters. Don’t miss it if you visit. It was the perfect end to our trip! 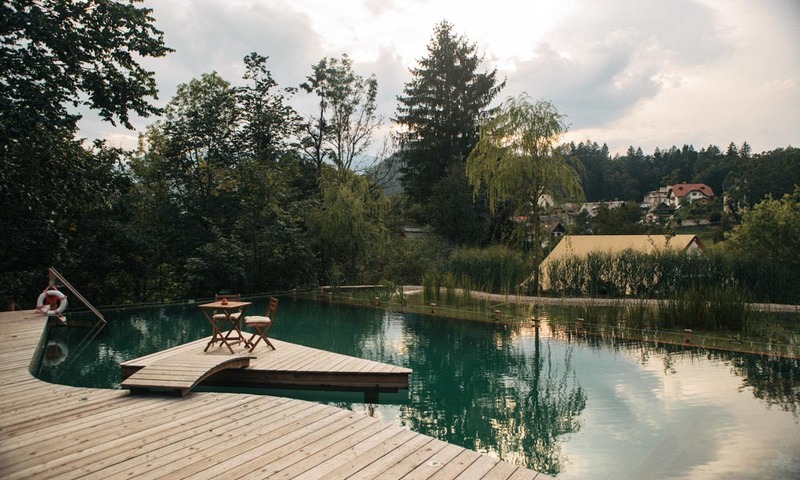 The Garden Village also has an eco shop and a whole menu of spa treatments including Kneipp therapy and a massage pavillion above the river. We’d love to return for a longer stay. To see the rest of our road trip, look at our posts on Vipava and Goriška Brda, Soča Valley and Vršič Pass, and Lake Bled. And, of course, the one all about the food! This post is part of the Must love Festivals project. Thank you to Spirit Slovenia for inviting us to stay. 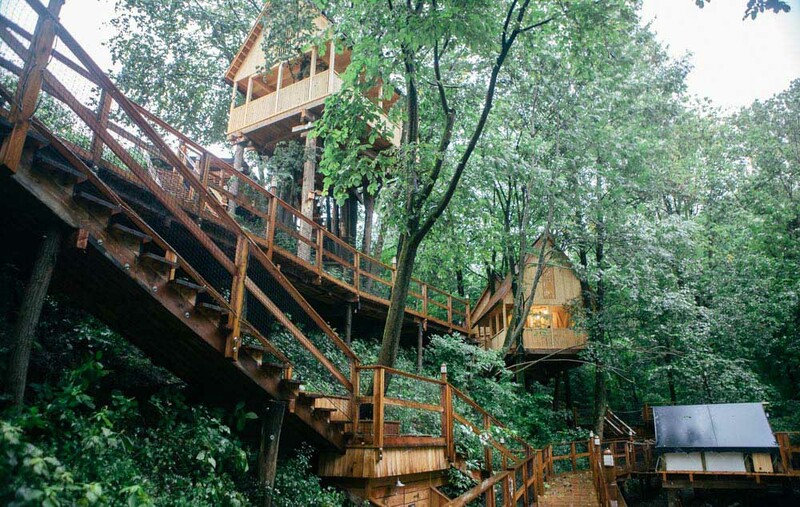 What an adorable tree house! I too want a desk that sprouts such lushness. That place looks amazing! I love the living plants on the table – I’ve never seen that before! I love this!! I would definitely stay here if I was visiting Lake Bled. 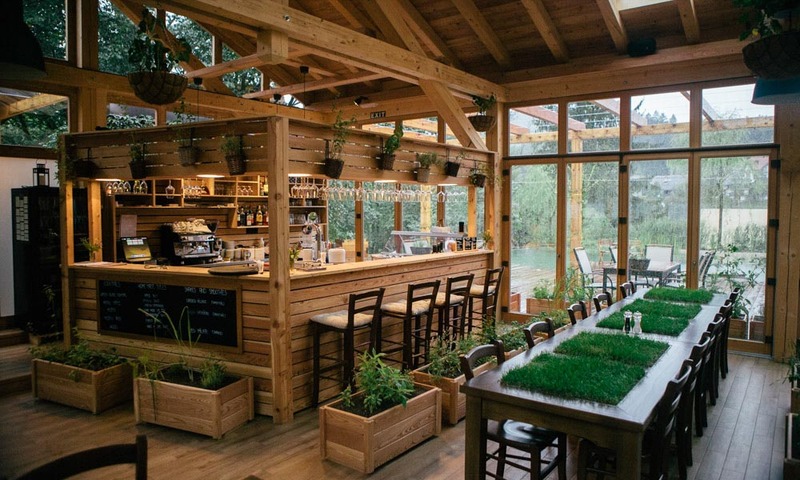 So gorgeous, and I think the herb/grass tables are amazing! Thank you for commenting. Welcome! 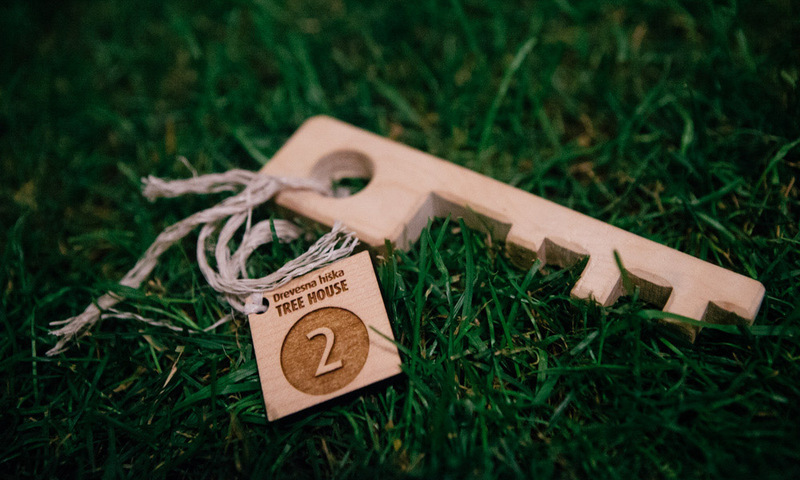 Tree houses are definitely ome of our favourite places to stay. It feels so good to be surrounded by nature! Wow! What a fabulous stay! 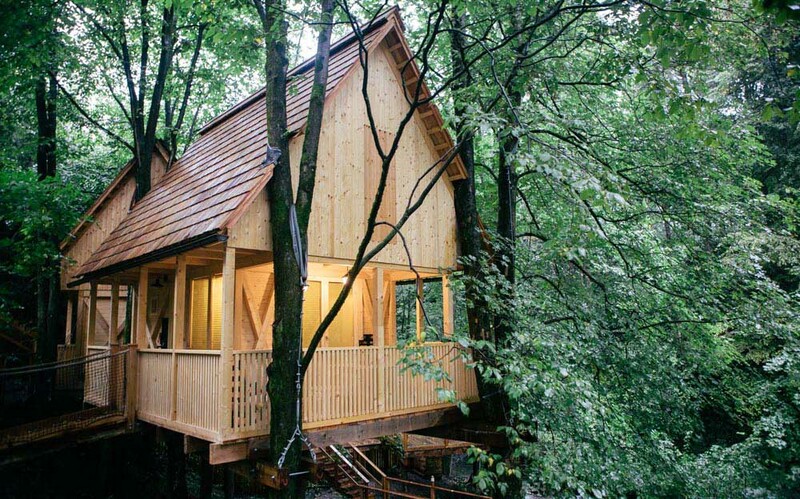 The tree house looks so cozy and interesting. Even I have never seen something like grass on the desk. It inspires Eco-friendliness. It’s definitely one of our favourites! 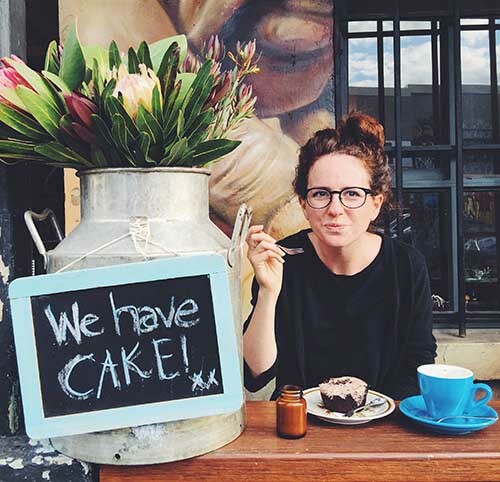 Wow – this place looks amazing!! Love the tables! That was the first thing that made us want to visit! I really want a desk like that. Wow. It’s so beautiful. I have not seen another like it. I like planting tree. They look cute. What a beautiful house! You guys always stay in the coolest places! This place looks incredible, I feel like booking it right now! This is such a cool place!! 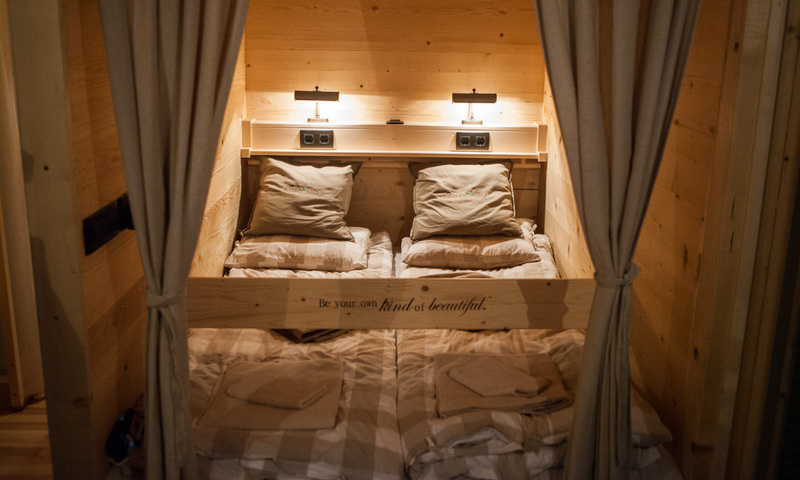 Staying in a tree house has always been on my list and after reading this blog of yours I think it should be in Lake Bled.. Beautiful post and pictures! Thanks! It’s definitely worth visiting. We loved it! Thanks for a great post on the Lake. This hotel looks incredible. It’s our dream to have a hotel one day and after traveling and being in a huge mix of hotels we’re starting to formulate our own idea. Camille’s an interior designer and is amazing at creating designs. We’ll be moving near Lake Bled on the other side of the border in a small town in Austria starting next month. I’m sure this will be a great weekend trip for us. Spark the romance! Now I gotta check out your road trip post! You’re right, that would be a perfect weekend break. How lucky to be so close in Austria! 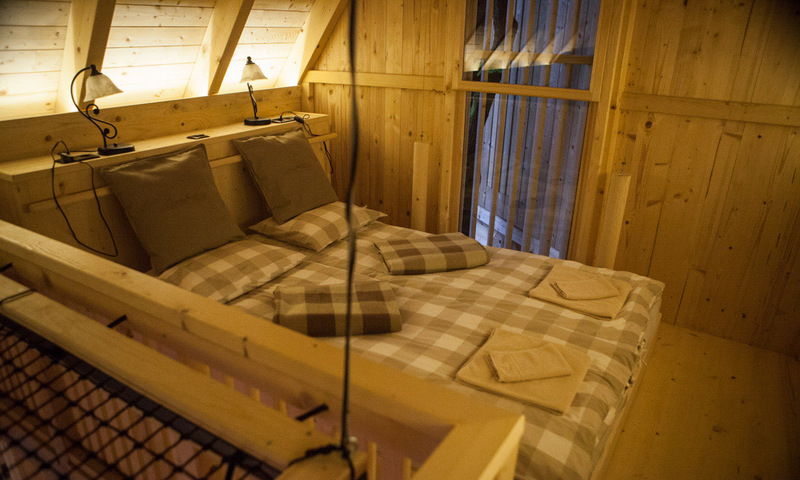 I will be taking a trip with my boyfriend here soon and I booked a glamping tent with a hot tub, I am so excited! Thanks for the extra info!